(GSM Insider) - HTC One vs iPhone 5 vs iPhone 4S - Ultimate Specs Comparison. In the past, we knew that iOS has a smoother and stable system than the Android. With the introduction of Jelly Bean, many iOS users switched to Android as the Google developed system getting more and more popular. With Android devices getting more cores inside, the iPhone from Apple still remains at the dual-core. But iPhone users might argue that the iOS doesn't need so many cores for the system to run smoothly. Yes. They are right. iOS doesn't require high numbers of cores since the system and the processor were manufactured by Apple itself. No one understands the iOS then Apple. On the other hand, Android has been developed rapidly in the last 12 months. From the single core era to the quad-core era using just months. At the moment, the new Android devices were powered by the quad-core processors. The same goes to the HTC One that was powered by the Snapdragon 600 APQ8064T. But Samsung should introduce new devices with a 8 core processor inside in the near future. That is the Samsung Exynos 5 Octa processor. So, the Android devices are getting more cores and the iOS devices remained at dual-core at the moment. Let's move on to the comparison between HTC One, iPhone 5 and iPhone 4S. HTC One goes head to head with the iPhone 5 and the iPhone 4S. You can find out the differences between HTC One, iPhone 5 and iPhone 4S at the chart below. 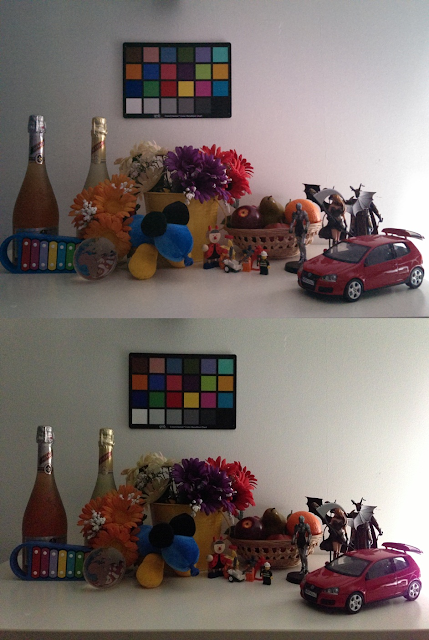 The HTC Ultrapixel camera in HTC One easily beats off the cameras of iPhone 5 and iPhone 4S. At HTC Ultrapixel camera is a new breakthrough camera for smartphone. Conclusion, the iPhone still has it owns supporters although the Android slowly taking over the smartphone market. (GSM Insider) - HTC One vs iPhone 5 - Who Has The Better Camera Comparison. Recently, GSM Insider posted the comparison between the Ultrapixel Camera and the PureView Camera. This time, the HTC One goes head to head with the latest iPhone 5 in the market. 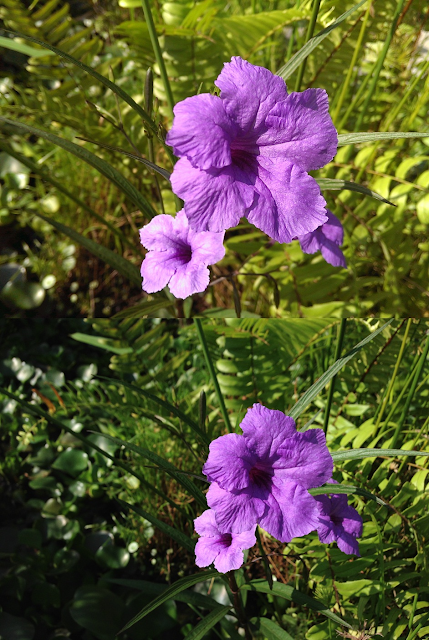 To remind you that the HTC One that captured the images above was not the final product yet as the no additional software installed. 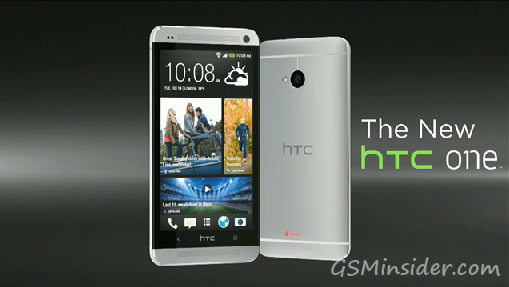 So the finalized HTC One could perform better. On the other hand, the iPhone 5 is the consumer product. 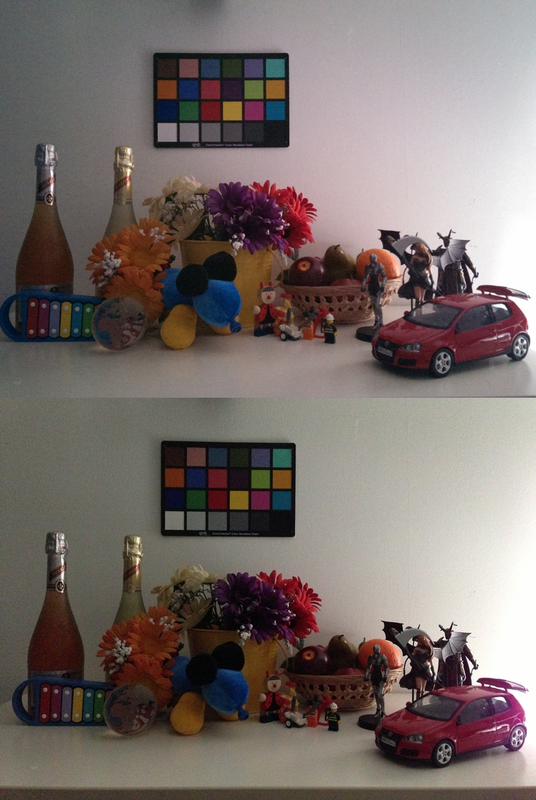 From the first set of image, the image captured by HTC is better under the light while the iPhone 5's image is overexposes. A second set of image is about the macro photography where the image from HTC One performs superbly by capturing more light and details. 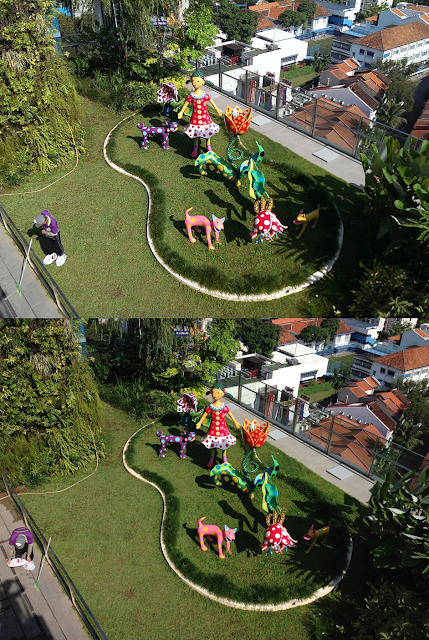 The third set of image shows that the HTC One's Ultrapixel Camera captured more "true life" images. The same goes to fourth and fifth set of images. At the pre-battle between the HTC One and iPhone 5, the HTC One clearly is the winner. 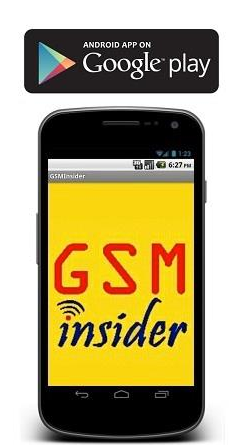 (GSM INsider) - LG Optimus G Pro vs iPhone 5 vs iPhone 4S - Android And Apple Comparison. iPhone was once dominated the smartphone market until the emergence of Android. Since then, the Android has dominating the smartphone markets around the world except the United States. The American still in love with the iPhone but Android proves to be a fine competitor in that market. LG Optimus G Pro is the latest powerful Android device while iPhone 5 is the latest iPhone from Apple. 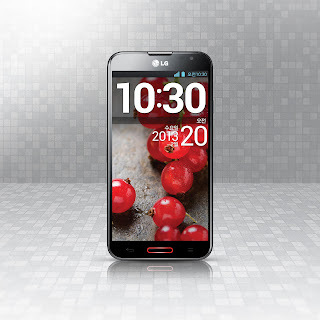 The LG Optimus G Pro goes head to head with the iPhone 5 and iPhone 4S. You can find out the differences between all three devices at below. Basically, the LG Optimus G Pro is better than the iPhone 5 and iPhone 4S in terms of specs. But the LG device is running on Android while iPhones are running on the iOS. So the needs of Android and iOS are truly different. The LG Optimus G Pro has a far larger display than the iPhone 5 and iPhone 4S. The display resolution of LG Optimus G Pro is 1920 x 1080 which far sharper than the iPhone 5 and iPhone 4S. Seems like Apple needs to put more effort on its iPhone to remain competitive. Both A6 and A5 processors from Apple are only dual-core while Snapdragon 600 in LG Optimus G Pro is a quad-core processor. The LG Optimus G Pro has 2GB of RAM while iPhone 5 has only 1GB and iPhone 4S has only 512MB. If you are an Android or Windows Phone user, you can think that the 512MB of RAM was belong to older generation devices. 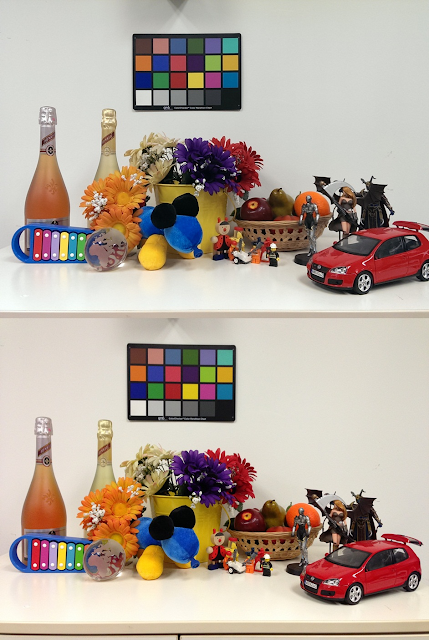 The camera of iPhone 5 and iPhone 4S are not impressive when compared to the LG Optimus G Pro. Both iPhones only 8-megapixels while the LG Optimus G Pro has 13-megapixels. 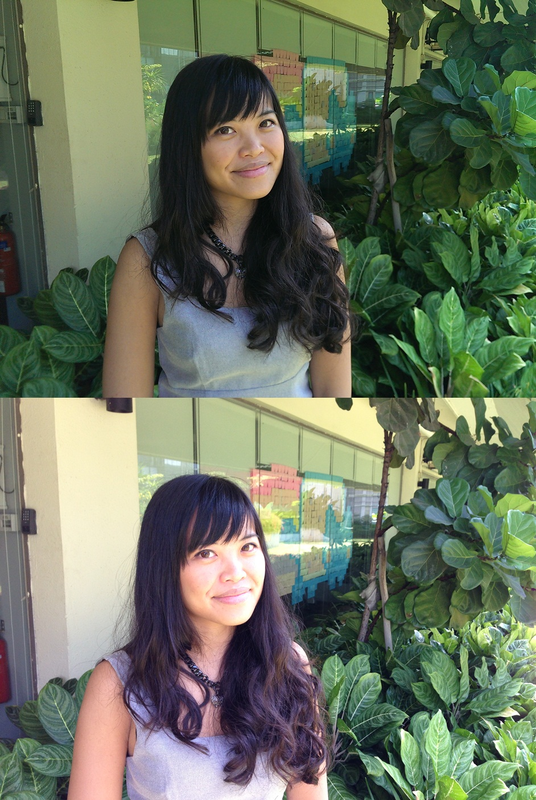 The front camera of iPhone 4S only a VGA quality camera while iPhone 5 has 1.3-megapixel. The 5.5-inch LG phablet packs with 2.1-megapixels front camera. The iPhone 5 and iPhone 4S are lighter and smaller in size than the LG Optimus G Pro. It remains mysterious whether Apple will continue to introduce the iPhone with size around 4-inch or larger iPhone in the future.